CONGRATULATIONS TO ALL THE RECENT NENACE AWARD WINNERS! Couldn't be a part of a better chapter. 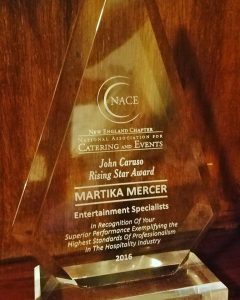 We are most proud of our very own Martika Mercer whose hard work and positive energy inspires us all everyday! Way to go Martika!! !